Home/Fundraise Events, Fundraising Stories, Latest News/Look down – if you dare! Look down – if you dare! 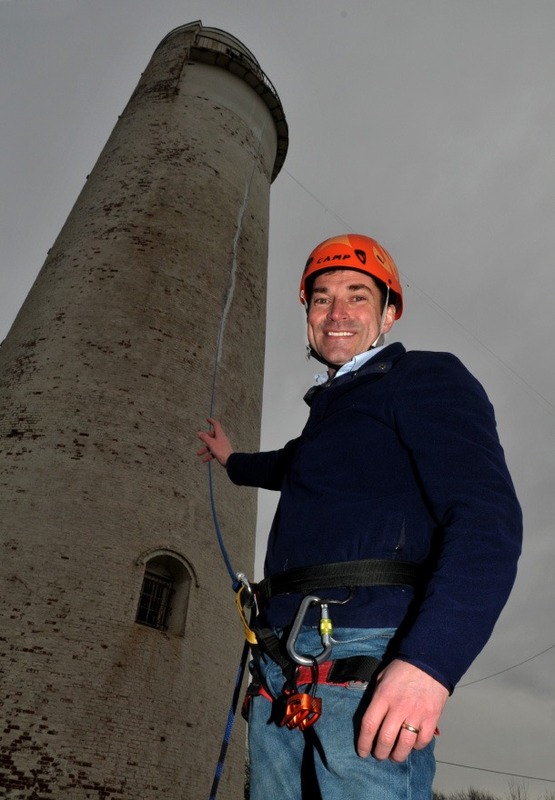 As so many of my team and our charity’s supporters are taking part in our abseil event at Leasowe lighthouse on 9 April, I thought I’d share some advice to help you on your way down. Trust your kit. The equipment you are using is tested to the highest standard, the ropes and harnesses can hold the equivalent of a small family car, so unless you’ve put on some significant pounds over Christmas you’ll be fine. Trust your instructors. The people who are holding your safety rope and have set up the abseil have done this hundreds of times before and are fully trained and qualified. Listen to them and do what they ask you to do, it’s really that simple. Look at your toes and keep your feet in front of you as you are abseiling down. Try to imagine you are sat on the floor with your legs stretched out in front of you, if your feet are too high then you’ll end up sat on your bum, if they are too low your nose will be against the wall. If either of these things happen, don’t panic just put your legs out in front of you again and keep going. Know your brakes! When learning to ride a bike you’re always taught where the brakes are before you start riding. It’s the same with abseiling. If you’re unsure how to control your speed, just ask your instructor. Normally this is just a simple case of squeezing your descent device. Look where you want to – and look down if you dare. The secret is to look where you are comfortable looking. Most people who haven’t abseiled before prefer to look up at their instructor, but if you are confident take a look around you, it’s a lovely view. Enjoy. I know this may seem silly but do enjoy it. Abseiling is a relatively easy thing to do and much of it is down to confidence, so just sit back, relax and enjoy the experience. Thank you to everyone who has volunteered for this event. I’m going to head across and watch a few of you strut your stuff so if you see me give me a wave on your way down.